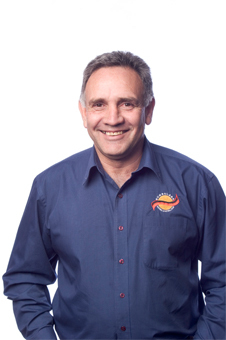 Paul Briggs is a Yorta Yorta man based in Shepparton with a wealth of experience in Aboriginal community development. He grew up on the banks of the Dungala (Murray River) at Cummeragunja, and draws inspiration from the long list of past Yorta Yorta leaders including Sir Doug Nicholls and William Cooper, among many others, who have emanated from Cummera. Paul has been at the forefront of Aboriginal peoples rights and advancement since the early 1970s. His leadership saw the establishment of a number of critical institutions including the Victorian Aboriginal Community Controlled Heath Organisation, the Victorian Indigenous Leadership Network and First Nations Australian Credit Union, the first Indigenous credit union offering national access to financial services. Paul is also well-known for his role as the founding president of the Rumbalara Football Netball Club, a position he has held since 1988. The club came about as a result of his recognition of the vital role sport plays in Indigenous communities. The club not only provides sporting, recreational and social opportunities, but also addresses the spiritual, emotional and physical well-being of its players. In 2005, Paul was the first Indigenous man to join the Council of the University of Melbourne in its 150-year history. He is a significant Aboriginal leader in Australia, working tirelessly and with a broad vision towards improving the lives of his people. In 2013 Paul was elected as the Chairman of Yorta Yorta Nation Aboriginal Corporation. In 2015 Paul was appointed as the inaugural chair of the Australian Football League's national Indigenous Advisory Board.